A long sleeve Crew Neck Tee features color blocking in black and white. Top bodice and sleeves are in white and the bottom portion is in black. 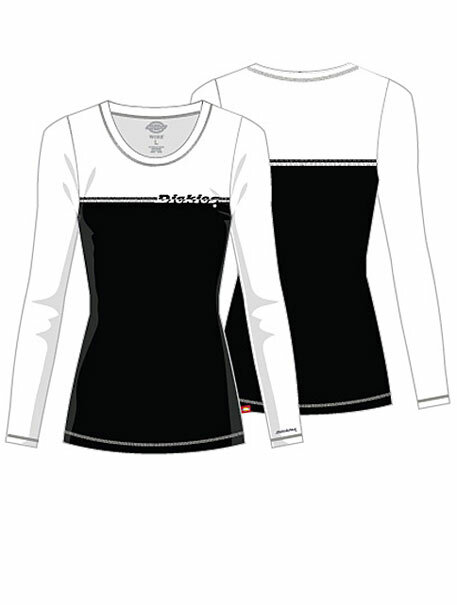 A Dickies screen print logo is placed at the front yoke seam and left sleeve hem. Also featured is a tagless neck label for added comfort. Center back length: 25".